Our conference takes place at the Nanyang Technological University (NTU One-North); it contains registration, panels, keynotes, and more! ISA Asia-Pacific conference attendees are invited to stay at several local hotels. A block of rooms has been reserved for July 3, 2019 - July 7, 2019. The group rate will only be available until a certain date at each hotel - these dates vary by hotel. If your preferred hotel does not have availability for your dates, please contact a different hotel from this list. The Park Avenue Rochester is our headquarter hotel and is located 400 metres away from NTU One-North campus. Reservations can also be made over the phone via 1.888.627.7175. Please note that Park Avenue hotel rates include Wifi and do not include breakfast which is an anticipated S$25++ per person per day and charges may vary. Public Transport: Walk about 7 minutes to Bugis MRT. Take the East West Line to Buona Vista MRT (approximately 18 minutes/9 stops). Then walk about 12 minutes to the NTU One-North campus. Please ask your hotel for more specific directions/timings if needed. Rates include breakfast and Wi-Fi. Public Transport: Walk about 5 minutes to bus stop opposite Four Seasons Hotel. Take the 106 bus to Bukit Batok to ‘Opp Blk 43’ (approximately 12 stops/15 minutes). Then walk about 10 minutes to NTU One-North campus. Please ask your hotel for more specific directions/timings if needed. Please note that Hilton Singapore hotel rates include wifi and do not include breakfast which can be added at a later time and is an anticipated S$30++ per person per day, charges may vary. Check out below for location and travel information for the conference. Address: Singapore Changi Airport, Singapore 018956. You can easily travel around Singapore by mass transit on the MRT/LRT public transit system - the NTU One-North campus is approximately a 7 minute walk from One North MRT station on the Circle Line, and approximately a 12 minute walk from Buona Vista MRT interchange station on the East West Line and the Circle Line. You can also buy a Singapore Tourist Pass, a special EZ-Link stored-value card for unlimited travel between one and three days. For more information and to purchase the Tourist Pass, please visit the website. The City Shuttle will bring passengers to most downtown hotels at a rate of S$9 per adult or S$6 per child (below 12 years of age). The Airport City Shuttle includes Ibis Singapore on Bencoolen Street and Hilton Singapore only. The City Shuttle departs every 15 minutes during peak hours, and up to 30 minutes during non-peak hours. Please approach the 24-hour Ground Transport Concierge at the Arrival Halls for bookings or call the following hotlines for more information. Click here to book the airport shuttle service in advance. Taxis are available for hire at the taxi stands in the Arrival areas of each Terminal. A ride to the city takes about 30 minutes and costs between S$20 and S$40. All fares are metered. To get to the city, take the train from Changi Airport MRT Station (CG2) to Tanah Merah MRT Station (EW4), then transfer to the East West Line towards Tuas Link MRT Station (EW33). To get to Park Avenue Rochester Hotel, take the train from Changi Airport MRT Station to Tanah Merah MRT Station, then take the East West Line and alight at Buona Vista MRT Station (EW21). Take exit C, head Southwest on North Buona Vista Road and walk 350 metres to Park Avenue Rochester Hotel. To get to Ibis Singapore on Bencoolen, take the train from Changi Airport MRT Station to Tanah Merah MRT Station, then take the East West Line and alight at Bugis MRT Station (EW12). 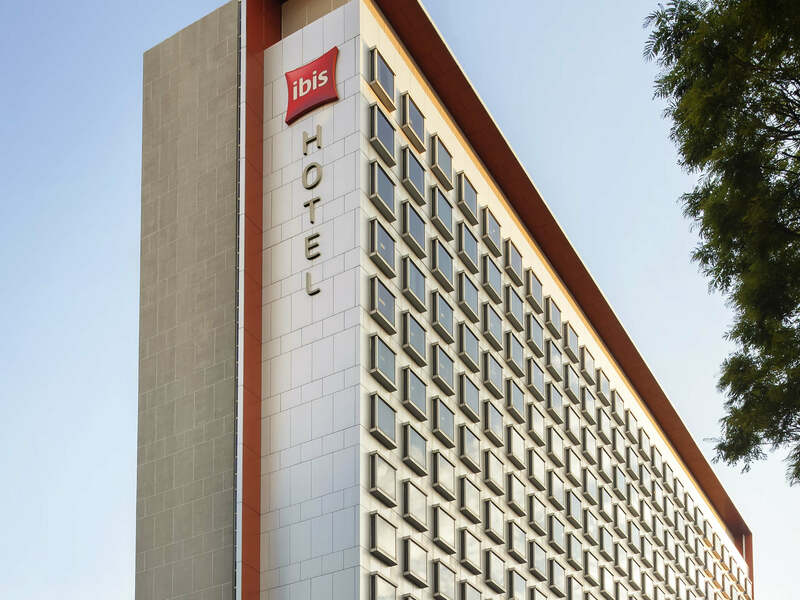 Take exit A, head Southwest on Victoria Street and walk 550 metres to Ibis Singapore on Bencoolen. To get to Hilton Singapore, take the train from Changi Airport MRT Station to Tanah Merah MRT Station, then take the East West Line. Change at City Hall MRT Station (EW13) on to the North South Line towards Jurong East, alight at Somerset MRT Station (NS23). Take exit E, head Northeast and turn left onto Orchard Road and walk 700 metres to Hilton Singapore which will be on the left. Get detailed train timings on the SMRT Journey Planner. There are plenty of easy ways to stay in touch and get connected to your friends and loved ones while you are in Singapore. The Singapore dollar (SGD, known on the street as the "sing-dollar") is Singapore's official unit of currency. Paper notes are denominated in $2, $5, $10, and $50 (less commonly seen are $100, $500, $1,000 and $10,000 bills). Coins come in 5 cents, 10 cents, 20 cents, 50 cents and $1 denominations. For many larger retail outlets, they will take most credit cards. It varies significantly when purchasing in smaller retail outlets so it is advisable to check with individual retailer. For many hawker centres (local eateries), it is best to take cash with you as they are unlikely to have credit card facilities available. For taxis, as a general rule there is a 10% administration fee on all credit card payments. Please check with individual taxi driver as some taxi companies do not take credit cards. It is perfectly safe to drink water straight from the tap in Singapore. However, for those who prefer bottled mineral water, local supermarkets and grocers always have ample stocks. You can find out if you need a visa to visit Singapore, as well as details on the expected time and process, using Singapore's Ministry of Foreign Affairs website. If you require a letter of invitation to support a visa application, please be sure to provide sufficient lead time for the processing of the letter. The organizers request that these participants register early. A letter of guarantee will be sent from the conference organizers upon providing a receipt of the paid conference registration fee and of a hotel accommodation in Singapore. Must only submit 1 application per person. In the event multiple applications are received for one individual, only the first application received will be considered. If you meet the above criteria and provide supporting documentation then your application for a travel grant will be considered by the Travel Grant Award Committee. All decisions made by the committee are final. Only successful applicants will be contacted.